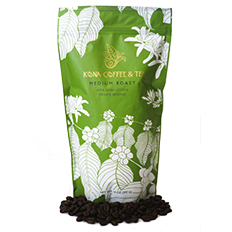 Kona Coffee & Tea, Single Estate, 100% Kona Medium Roast. A smooth roast with floral and caramel nuances and a velvety texture. Our most popular roast. Low acidity. Small batch roasted, packaged and shipped fresh. From Anonymous of RAVENSWOOD, West Virginia on 3/18/2019 . 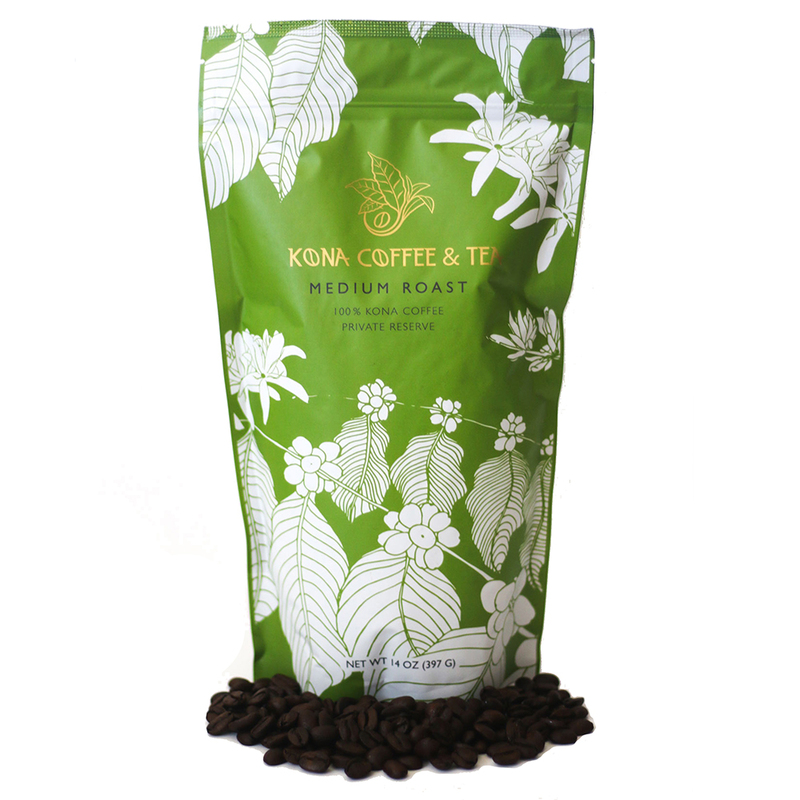 I got hooked on Kona coffee when I visited Hawaii many years ago. I had it shipped to me for a while but it was too expensive to get on a regular basis. I decided I wanted some, so I got this and it is wonderful...tastes sooo good. From Kirk Davis of Sioux Falls, South Dakota on 3/11/2019 . From SFlocalNM of Santa Fe, New Mexico on 2/2/2019 . 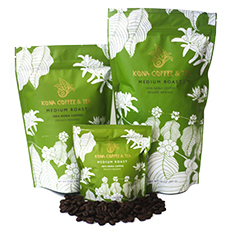 It is wonderful to be able to get these Kona beans for home use. I stopped by the Kona Coffee & Tea shop a couple of times every day during my recent trip to HI, and have been missing that great Kona coffee. Now I can have some of the Kona experience at home - still not in HI, but having these beans helps a lot. From Julie C of San Francisco, California on 1/3/2019 . 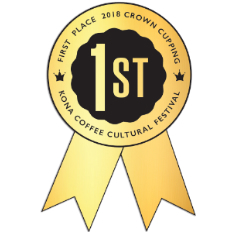 Another winner from Kona Coffee and Tea. This coffee is really smooth and perfect for a morning pick me up. The grind is perfect to extract all of the wonderful flavor from the beans. From Anonymous of MARLBOROUGH, Massachusetts on 12/28/2018 . Excellent quality! 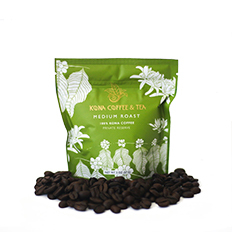 We love Kona coffee ever since we first tried it. 6/27/2018 – I am trying to figure out what type of grind I should select from your drop down. I don't want whole bean. I have a 12 cup . . . Response From Kona Coffee and Tea: You would want to select the "Drip Grind" option for your coffee maker. 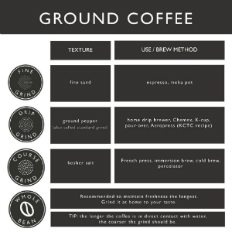 11/16/2017 – Which blend do you use for your lattes in store? 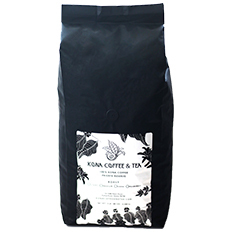 Response From Kona Coffee and Tea: We use a custom roast for all our espresso beverages in the shop. 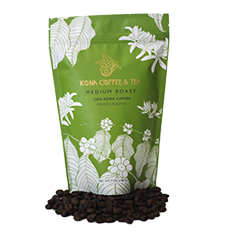 It is closest to our Medium Roast 100% Kona Estate. We are looking to add the espresso shop roast to our selection in the near future.